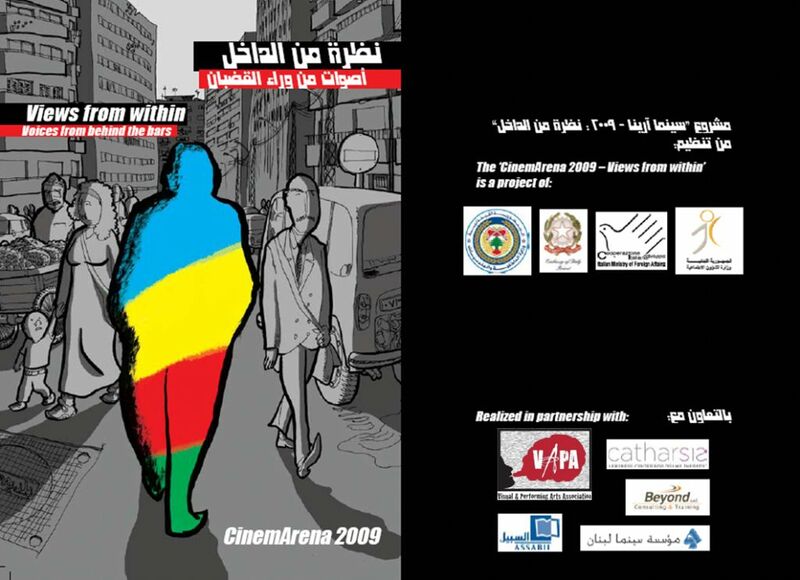 The Lebanese Ministry of Social Affairs, the Ministry of Interior and Municipalities, and the Embassy of Italy in Beirut, launch the “Reference guide of NGOs and institutions working in Lebanese Prisons”, jointly produced within the project “VIEWS FROM WITHIN, CINEMARENA 2009- 2010” in the framework of the Emergency ROSS Program funded by the Italian Ministry of Foreign Affairs/Italian Cooperation. VAPA Association is finishing its intervention in the Cinemarena Project which is being held in 13 prisons all over Lebanon. We gave prisoners graffiti workshops which they can later on use in their professions (shoe-smith…). Graffiti artists reproduced the artwork done and the firt exhibition took place in March 2011 in an attempt to spread awareness about the prison’s conditions.The exhibition took place during the launching ceremony of the guide.